Inspired by Kryptonics skateboard wheels. 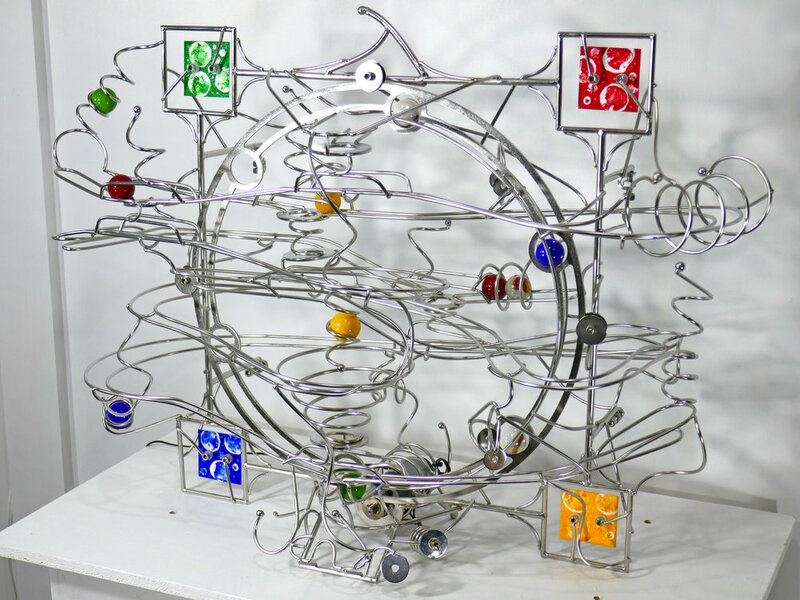 This is RBS 077, and 1977 was a very good year for me with a lot of skateboarding - and my skateboard had Kryptonic wheels - so this sculpture is inspired by all that! 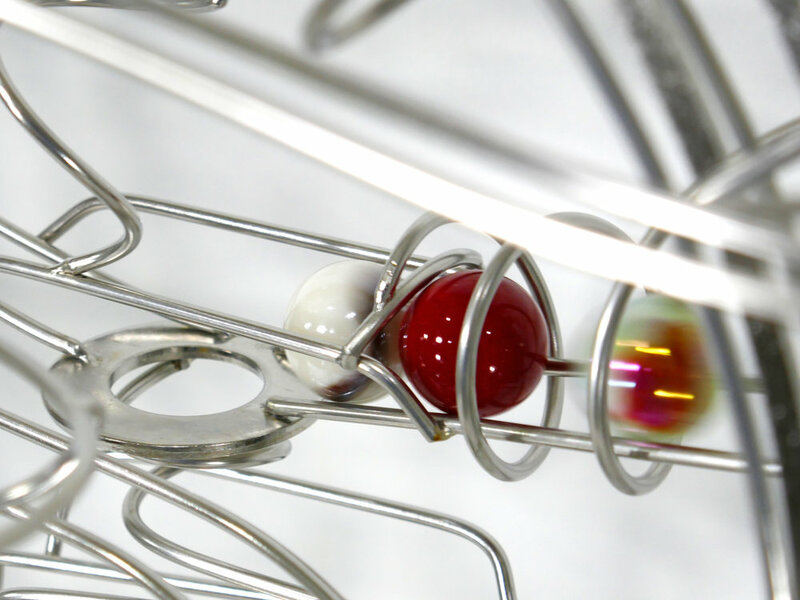 Motorized ring lift rolling ball sculpture with ~12 one inch white-blue-red-green-yellow marbles. 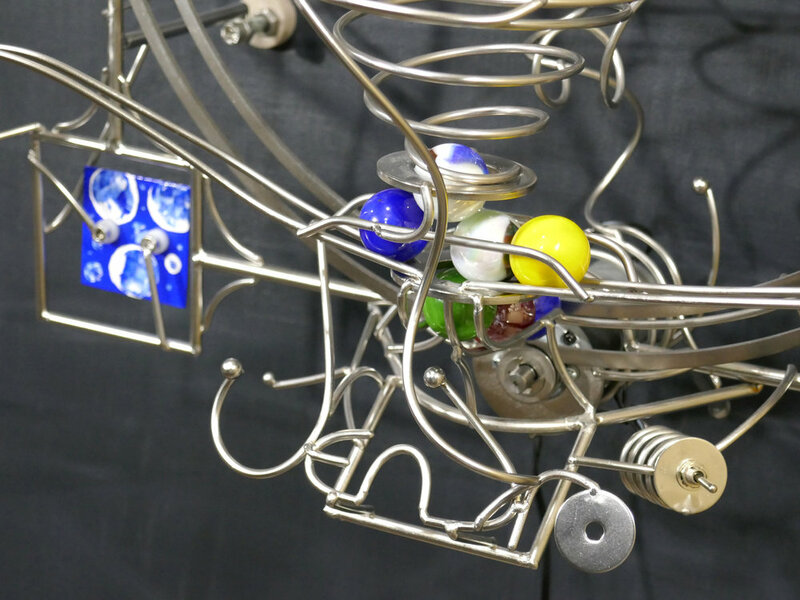 This is a small wall mount marble run - 20"H x 24"W x 10"D. With 4 acrylic hand painted steel panels. Signed, dated and numbered.